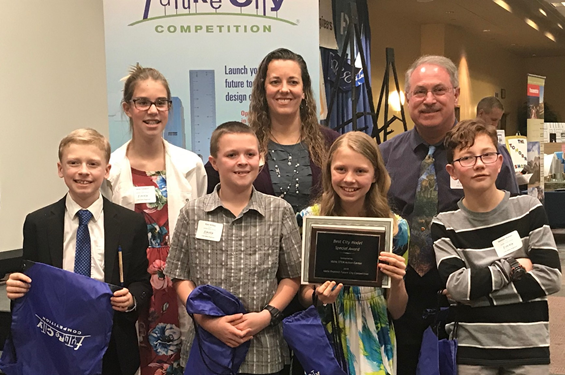 GV Future Cities - Scores BIG! 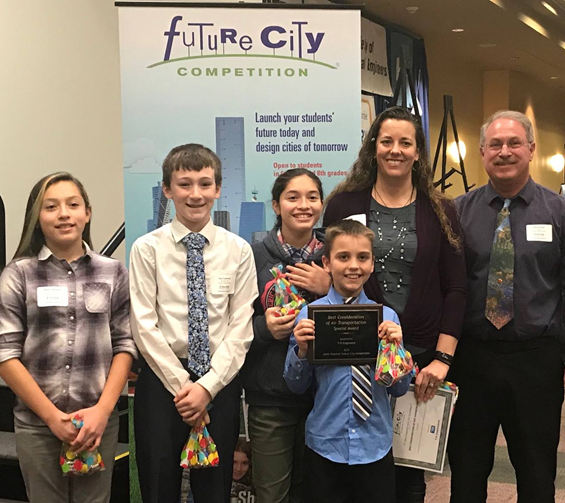 Garden Valley had 15-20 middle schoolers that worked every Friday and more as deliverables approached and even met 6 times over the Christmas break so they could be competitive against the 37 teams. This is only Garden Valley’s 2nd year and first year having 3 teams and all of them placed in the top half. One team took second and another was sixth, what an accomplishment! We took home 3 of the 26 special awards that architecture-engineering companies sponsor. 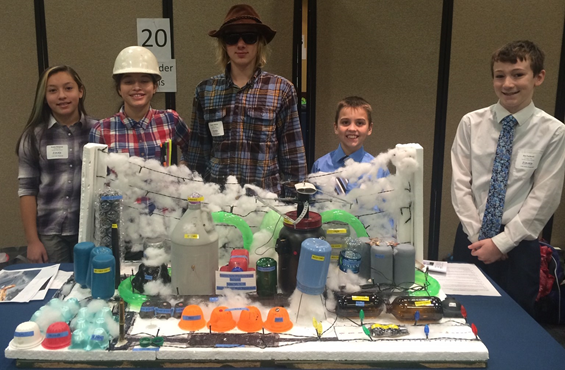 If you see this kids please give them a big kudos for putting in their own time to be successful and competitive in such a great STEM competition. We are still a pretty young team in experience and students age so the other teams better watch out next year we have some new ideas! 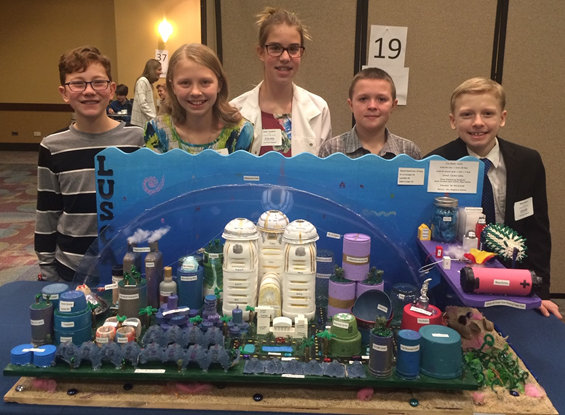 Above: Idaho STEM Action Center's special award for the Best City Model, Lusca from the Garden Valley School District. 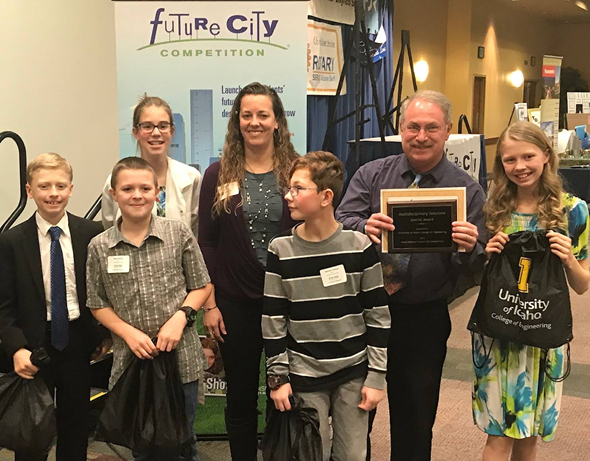 Below: Garden Valley School (Lusca) - winner of the University of Idaho College of Engineering sponsored special award for Multidisciplinary Solutions. This is a BIG accomplishment earned with dedication, committment, creativity and ingenuity. We are proud of all of you Wolverines!